The CQC is the largest professional certification body in the People’s Republic of China.The CQC offers a special voluntary CQC Mark Certification for a wide range of over 500 products that do not fall into the compulsory certification catalogue. 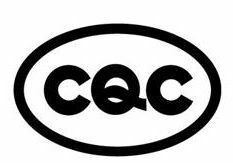 The voluntary CQC Mark Certification process is similar to the CCC certification processAfter the acceptance of application by the CQC, the Chinese authority will request test samples. The test samples will be tested in approved Chinese test laboratories according to the official Chinese GB standards. After the testing in China, a factory inspection at the manufacturing facility will be required. If the lab tests and facility inspections pass, the CQC will issue the CQC Mark Certification for the product and the applicant can apply for a marking permission for their product.